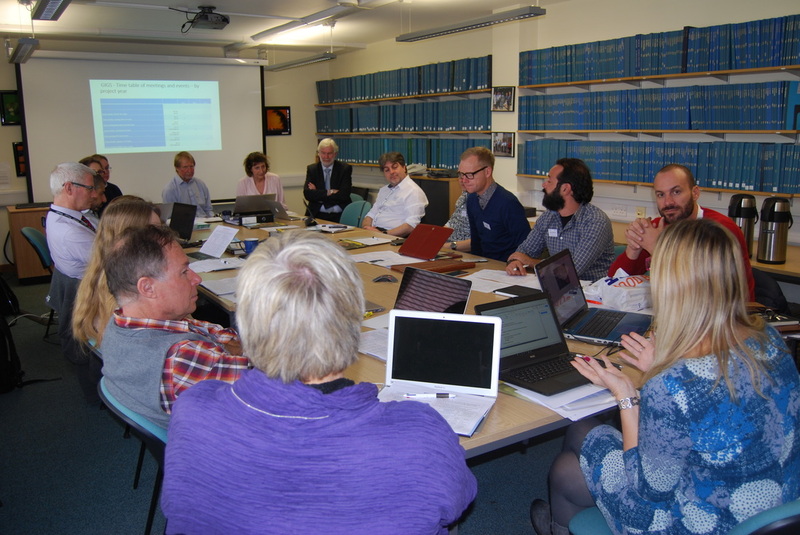 ​The first project meeting took place at the University of Hull 10 - 11 November 2017. There was a packed agenda but we also enjoyed getting to know one another and finding out more about our schools and the other project partner organisations. The meeting had a number of key aims; To work out some baseline questions for pupils in all of the pilot schools so that we have a clear idea of how they feel about STEM subjects, their views on global issues and their approach to technology - in effect the ingredients of our project. It is important we get this right as the Global STEM Challenges will only be run once and we need to know how girls especially change their views as a result of our 'intervention'. But of course we also needed to hear about the other aspects of the project and Julie Brown and Bren Hellier from Practical Action had prepared some clear outlines of the Global STEM Challenges for the group to discuss. Which ones will the schools decide to follow? We'll report on that in the coming weeks. It was also vital to hear from Kevin Burden (University of Hull) and Greg Hughes (De Ferrers Academy) on how eBooks work and on the artefacts we hope the schools will collect prior to our Student Workshop in June 2017.